If you preordered your Verizon Galaxy S4 a few days back I have some bad news for you. Only the 16GB variant was made available for preorder. It looks like the 16GB model only has 9GB of usable storage out of the box. That really isn’t much room. That is what you get when Samsung decides to add a million features. The good news is that all U.S. variants have already been rooted! This means you will be able to install Titanium Backup and easily remove all the bloat ware which should free up some space. What are your thoughts? 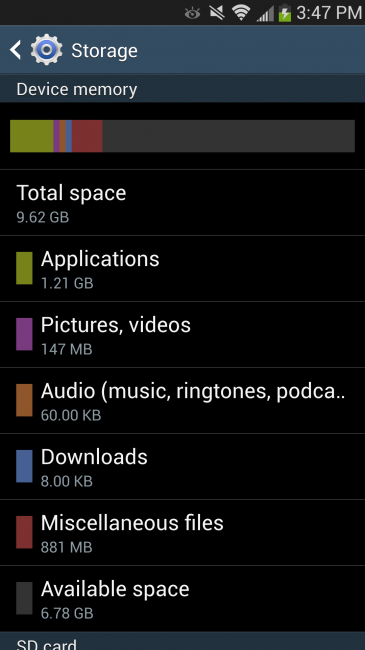 Should OEMs only advertise usable storage? Or atleast include an astrick and explain the amount of usable storage?